You may see or hear hundreds or thousands of ads for a brand or product. Most of these ads never even register with you. But if a friend recommends a brand or product, people listen, remember, and buy. Advocate marketing (“Word of Mouth marketing”) is a marketing approach that gets your highly-satisfied customers (“Advocates”) plus others to spread positive WOM about your brand and products. Advocate marketing works well for consumer and business brands and products. In fact, customer advocacy programs are very popular in B2B companies. The best way to do Advocate marketing is via an ongoing Advocate marketing program, not a one-off campaign. An ongoing Advocate marketing program enables you to leverage Advocates in all of the ways above (see 1-4) vs. limiting yourself to one activity. Plus, you can learn who your Advocates are and build relationships with these VIP customers. The best way to do an ongoing Advocate marketing program is via an Advocate hub. On the Advocate Hub, Advocates learn about and participate in “challenges” — actions you’d like Advocates to complete. This includes all of the activities above (again, see 1-4) plus other things like answer surveys, provide product feedback and ideas, etc. When Advocates complete challenges, they earn points that can be redeemed for rewards. Plus, they can earn badges, get on a Leader Board, and achieve status within the Advocate group. This helps boost challenge participation and ongoing engagement. Increased awareness. Getting Advocates to spread positive WOM is a very effective, inexpensive way to boost awareness of your brand and products. The average social media user has a total of over 1,000 friends and followers on their social channels (Facebook, Instagram, Twitter, LinkedIn, etc.) If you have 1,000 Advocates sharing on their social, you can reach 1 million people. Lots of valuable UGC. A key part of Advocate marketing programs is user-generated content: stories, reviews, videos, photos, and more. Most brands struggle with creating compelling content. Your Advocates will help solve this problem for you. They’ll create fabulous content at a tiny fraction of the price you’d pay to social influencers or for professional video shoots. Increased sales activity. An Advocate marketing program can help you generate highly-qualified referral leads, prospect traffic to your website and landing pages, and actual purchases. Many factors determine how much sales you get from an Advocate marketing programs. These factors include how large your Advocate group is; how compelling your products and promotional offers are; how compelling the rewards are that you offer Advocates for helping bring in new customers. Like almost any marketing program, it takes time, patience, and testing to get sales from an advocacy program. More than ever, your success depends not so much on what you say about your brand and products, but rather what your customers say. If you don’t have an ongoing Advocate marketing program, you’re missing a major opportunity to build your brand and business through your best marketers and salespeople: your authentic Advocates! Zuberance created and powered a program for this company to identify and mobilize their customer Advocates. A key part of this program is encouraging and enabling customer reviews. Here are the results after only a few weeks. 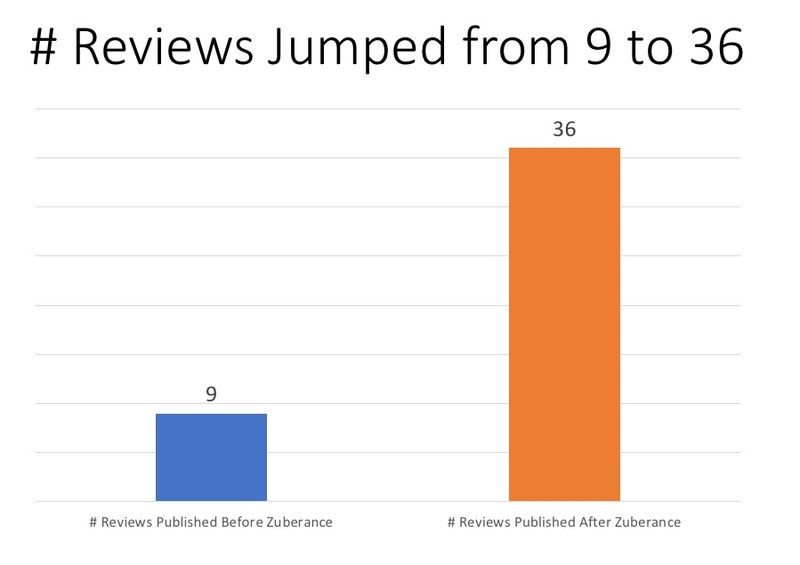 Customers were not paid to create reviews. The reviews were not edited or altered in any way, nor were the reviews subject to prior approval. Customers were encouraged to post honest reviews based on their actual experience with the product. An “Advocate Army” is a group of Advocates that go out of their way to spread positive WOM about your brand or products on social networks, e-commerce sites, and elsewhere. Depending on the size of your customer base, your Advocate Army can be hundreds or even thousands strong. We work with a software company that has an Advocate Army of over 100,000 enthusiastic Advocates! User-generated content — stories, reviews, testimonials, posts, and more — is 2X more trusted than brand-generated content and is proven to have significant influence over purchases. By mobilizing your Advocates, you can enable a ton of UGC. On average, a brand with with 1,000 Advocates can get over 3,000 unique pieces of UGC in one year. That’s a powerful content marketing engine! You can leverage this content on your social; on your website; on your landing pages and elsewhere to drive conversions and sales. Awareness still matters. That’s why many brands continue pouring money into advertising and other forms of paid media. Amplify your Advocates! Make it easy for Advocates to share their content and yours on their social channels; shopping sites and review sites; plus elsewhere online. This is a conservative estimate that doesn’t include the number of social contacts Advocates have on other social networks like LinkedIn and Instagram plus the number of people who view Advocate’s five-star reviews on Amazon, TripAdvisor, Yelp, and other sites. This means you can reach 1,045,000 people via 1,000 Advocates each time they share on their social channels. This brand got its Advocates to re-tweet a tweet of theirs. Look what happened: a 10X increase in the number re-tweets. People are about 4X more likely to purchase a product when referred by a friend, according to Nielsen. And referred-in customers have a 37% higher retention rate than other customers. 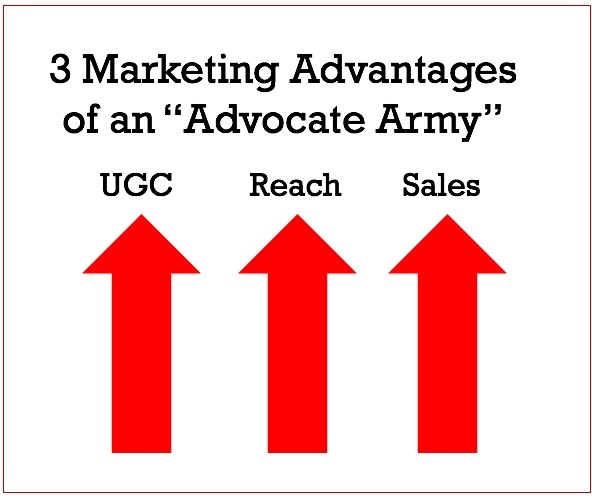 Start mobilizing your Advocate Army now to get these three big marketing advantages - and more. As usual, Gary Vee is funny and provocative. And as usual, he drops several F-bombs. So if his salty language is a bit too much for you, skip down to the rest of this post. Gary’s point was that asking about the ROI of social media was silly and pointless. There are some things, like motherhood, that you just instinctively know have value. Not everything that has value can or even needs to be measured, Gary argued. Another way of putting this: If your company couldn’t prove an ROI for social media, would you ignore doing social? What’s the ROI of Advocate marketing? By now, most everyone knows that having an army of thousands of authentic Advocates and Ambassadors spreading the word about your brand and products is valuable. The good news is that the ROI of Advocate marketing isn’t like the ROI of your mother. Each piece of UGC created by Advocates (five-star reviews, glowing stories, videos, photos, etc.) has enormous value. Studies show that UGC is up to 3X more trusted and credible than brand-generated content like brand-generated blog posts, case studies, videos. It’s also more trusted and credible that content created by paid social influencers, including celebrity endorses. So assign a value to each piece of UGC. You may want this to be $100 or $500, whatever seems reasonable. OK, this is arbitrary. But you need to peg the value of UGC. Each time an Advocate or Ambassador shares and/or publishes this UGC — or shares content you provide Advocates — there’s more media value. An army of 1,000 Advocates or Ambassadors can reach approximately 1 million people each time they share. We can assign monetary value to that reach. Enable your Advocates and Ambassadors to distribute your promotional offers and refer friends. We can track the in-bound traffic, leads, downloads, sign-ups, and sales you get from this out-bound sharing. Content (UGC) Value + Media (Reach) Value + Sales Value = Advocacy Value. We’d be glad to share more. This is the time of year when many marketers are creating their 2019 marketing plans and budgets. 1. 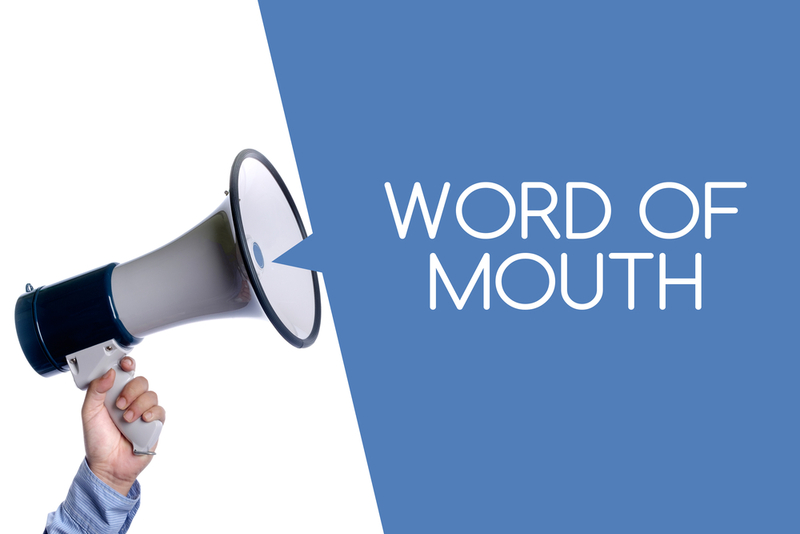 Word of mouth (WOM) is the #1 driver of purchase decisions. It’s a proven fact: WOM plays a huge role in purchase decisions because it’s the most trusted form of marketing communications. 2. Advocate marketing is highly effective. Here’s another proof point below. This company was paying a whopping $216 per customer to acquire a new customer using traditional marketing methods like paid media. The company cut this to $52 per customer via Advocate marketing. In other words, the company was able to acquire new customers via Advocate/WOM marketing for one-quarter of the cost of traditional marketing. This SaaS company acquired subscribers via Advocate marketing for about one-quarter the cost compared to traditional marketing. Brand Advocates are like your “Santa Elves” — they’ll make your cash register ring by posting and tweeting about your brand, products, and holiday offers. Running a Black Friday or Cyber Monday special? Get Advocates to share your promotional offers on their social networks. Getting Advocates to post your holiday offers will extend your reach, boost impressions, and generate sales. On average, each Advocate reaches about 1,000 people each time they share your offers or content on their social channels. If you get 1,000 Advocates to share your Black Friday or Cyber Monday special, you’ll reach 1,000,000 potential buyers. PS: Show your Advocates you care about them by giving them exclusive, early access to Black Friday deals. Ooma, the #1-rated VOIP company, got thousands of Advocates to post its Black Friday promo on their social channels. Encouraging Advocates to create and post stories and photos with a holiday flavor is one of the best ways to drive awareness and sales. Starbucks’ annual “Red Cup” contest is the best-known example of this. 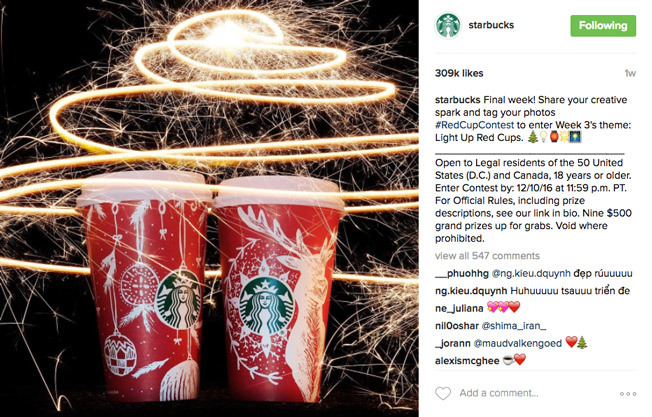 Each holiday season, Starbucks asks fans to share images on Instagram of how they celebrate the red holiday cups. Prizes include Starbucks gift cards. The contest generates thousands of pieces of UGC and millions of shares. You can do something similar. Select the winning stories, then reward Advocates by giving free product to the person the Advocate mentioned in his or her story. It motivates your Advocates to recommend your brand and products during the holiday season, which drives sales. It serves a social purpose. BTW, did you know that consumers are far more likely to buy from and be loyal to brands with a social purpose? After all, the holidays are about giving. 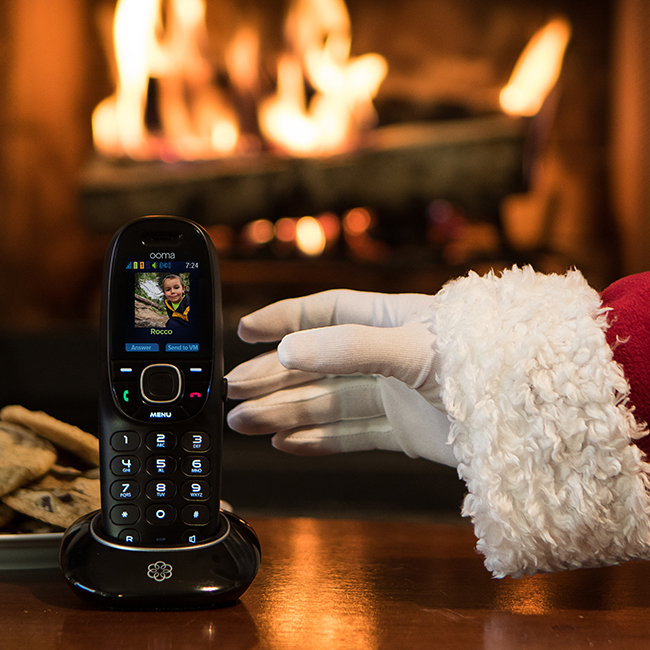 Ooma asked Advocates to share their annual “Tell Santa what’s on your wish lists this holiday season” promotion. Ooma makes two lucky kid’s wishes come true. One other way to mobilize your Advocates during the holiday season: Give them 2X rewards points for recommending your brand or products. Our clients have driven double-digit engagement and conversion rates with a “Double Points December” promotion. Plus, it’s a nice way to thank your Advocates for their support during the year. Black Friday is right around the corner. But it’s not too late to make the 2018 holiday shopping season your best ever by mobilizing your Advocates! PS: This blog post assumes that you’ve identified your Brand Advocates and have created an “Advocate Army” that you can mobilize during the holidays. If you haven’t, feel free to contact us and we’ll show you how. 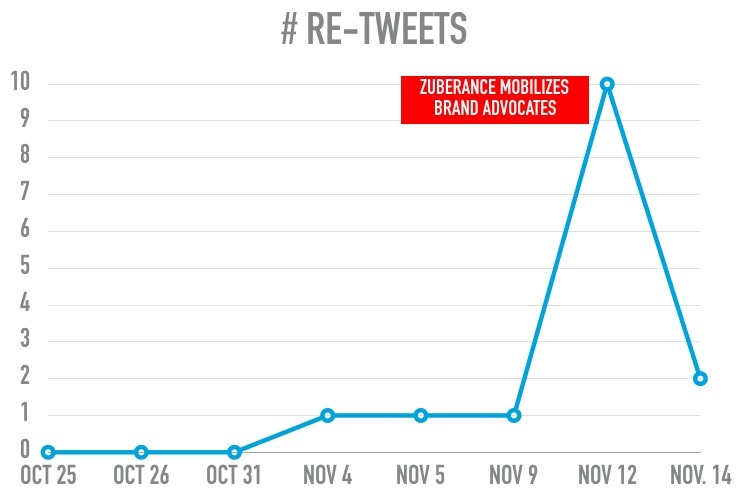 One of Zuberance’s B2B customers is getting a whopping 44% Advocate engagement rate. The company sells ERP software to smaller colleges and universities. Not exactly a passion category. Yet, the company's Advocates are creating reviews and testimonials, posting videos, referring peers, and completing other actions at an outstanding 44% rate. Just to put 44% in context for you, here are the engagement rates for brands on leading social networks, according to the ”2018 Social Media Industry Benchmark Report,” by Rival IQ. Are You Under-Estimating Your Advocates? As B2B marketers, we often under-estimate the willingness of our customer Advocates to go out of their way to pro-actively recommend and refer us to their peer networks. Or we mistakenly assume that because our products or services aren't very exciting, few customers would be willing to participate in an advocacy program. We'e finding that both of these assumptions are often incorrect. So What's the Secret to Getting a 44% Engagement Rate? Don't ask too much of your Advocates. Even Advocates can get fatigued. Give Advocates rewards they value. Yep, participating in B2B advocacy programs should be enjoyable. Will you get a 44% engagement rate? It's hard to say. But if you're not systematically identifying and mobilizing your Advocates, you're missing a highly cost-effective opportunity to drive positive Word of Mouth and sales. Most everyone knows that negative online Word of Mouth -- critical online reviews, harsh comments in social networks and online forums -- is bad for your business and brand. But the actual cost of negative online WOM may be dramatically higher than you think. Our analysis shows that negative online WOM can cost a company an amount that's equal to about 25 percent of its total annual revenue. In other words, the financial impact of negative online WOM for a company with $100 million in annual revenue may be $25 million a year or even more in cases when online WOM is especially hostile. Remember the old saying that an unhappy customer will tell five people about a negative experience with your company? Thanks to the power of social media, it's time to update the old adage and make that 5,000 people. And by the way, that's 5,000 people who were shopping for your product or service on Yelp, TripAdvisor, Amazon, or asking friends for recommendations on social networks. I call negative online WOM the "Silent Sales Killer" because rarely if ever will prospects contact you to say they decided to buy a competitors' product after reading complaints about your product. They just take their business elsewhere. And PS: they go out of their way to warn friends about your company and products. Ouch! More lost revenues. 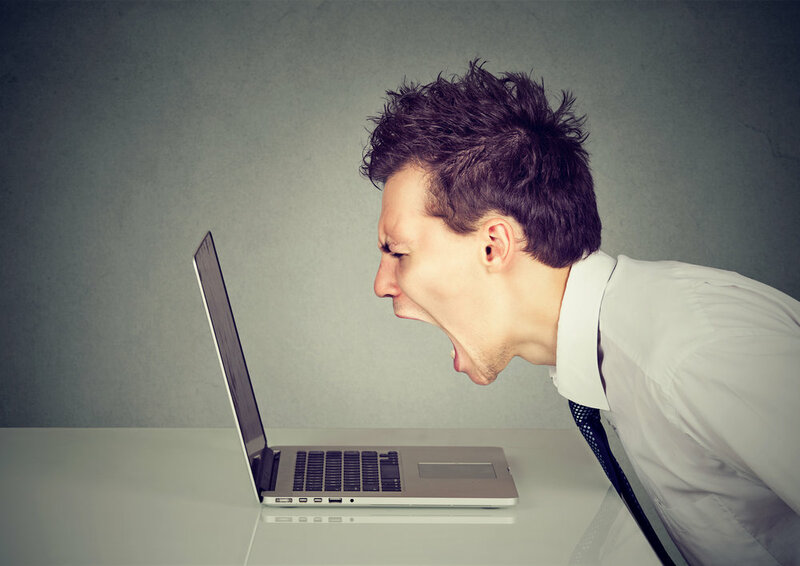 How Does Negative Online WOM Affect Your Business? Of course, you should respond consistently to negative reviews, posts, and Tweets. And it goes without saying that you need to identify and fix the issues that are causing customers to bash you online. However, a critical key to fighting negative online WOM is to go on the offense. That means you need to have a systematic, pro-active program to identify, mobilize, and amplify your highly-satisfied customers and other defenders, i.e., your Advocates. 1. Enable and encourage your Advocates to post positive reviews, stories, testimonials, videos, photos, and other original content. 2. Make it easy for them to share positive news about your company and products. 3. Give them rewards for referring friends and peers. 4. Invite them to join an Advocate hub, where they can learn about ways to recommend and refer plus earn points, status, and badges. 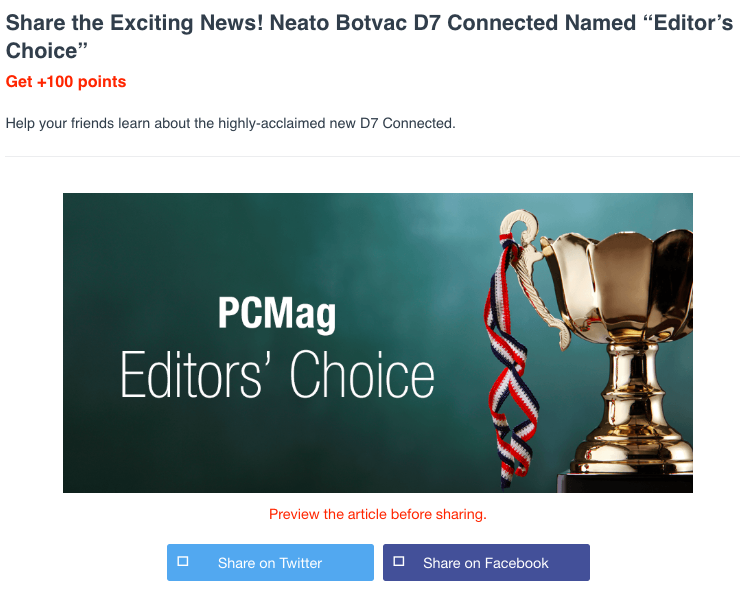 When PC Mag named the new Neato Botvac Connected D7 an "Editor's Choice," Neato Robotics encouraged its Advocates to share the exciting news with friends. Waiting Costs You $$$... So Why Wait? Prospects are making decisions TODAY about whether to buy your product, enroll in your school, eat at your restaurant, or stay in your hotel. These choices are being heavily influenced by what's online about you today. So waiting to address negative online WOM is costing you money right now. More reason to get started now to launch a systematic WOM advocacy program. You've heard the term "Micro-Influencers," right? This term is used to describe Influencers who have a smaller number of fans and followers (between 1,000 and 25,000) than Mid-Tier Influencers (between 25,000 and 100,00 fans and followers) and Top-Tier Influencers, who have 100,000 or more fans and followers. 1. 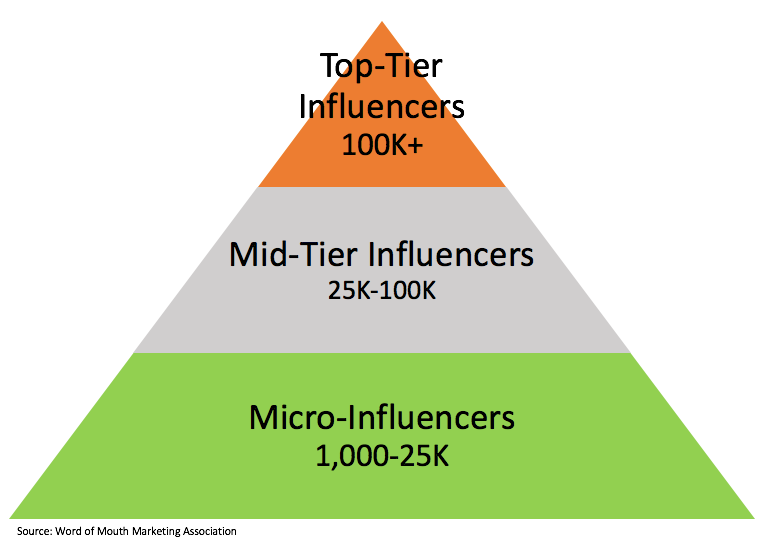 There is nothing "micro" at all about the influence of Micro-Influencers. In fact, these Influencers -- which often includes customers -- have huge influence over purchase decisions and brand perceptions. 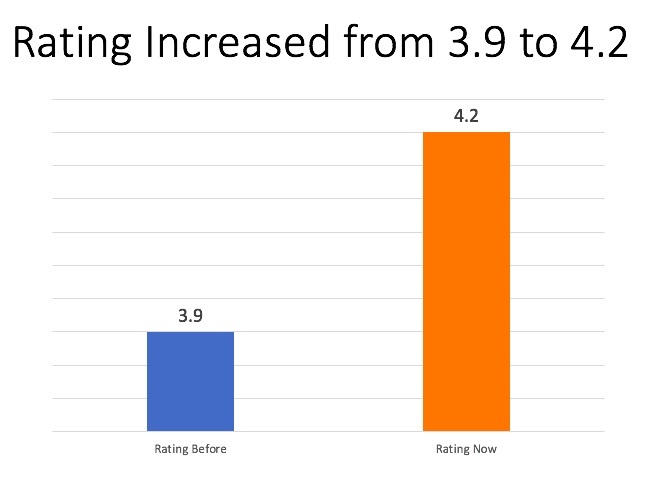 There is nothing more influential than a recommendation from a friend or peer who is an actual user or owner of a product or service, study after study has proven. People trust recommendations from peers or friends 2X to 3X more than recommendations from paid influencers, i.e. Mid-Tier and Top-Tier Influencers. 2. Reach alone is a very limited way to measure influence. Categorizing Influencers on the basis of reach alone is dumb. True influence is the ability to get people to take action, like inciting others to buy the recommended product or service. Recommendations from friends or peers is what really gets people to buy products or services -- not so much what paid influencers say. So what should we call Micro-Influencers? I don't have a better term to describe Micro-Influencers. More than anything, I hope the next time you hear or use the term Micro-Infuencers, you consider this perspective.